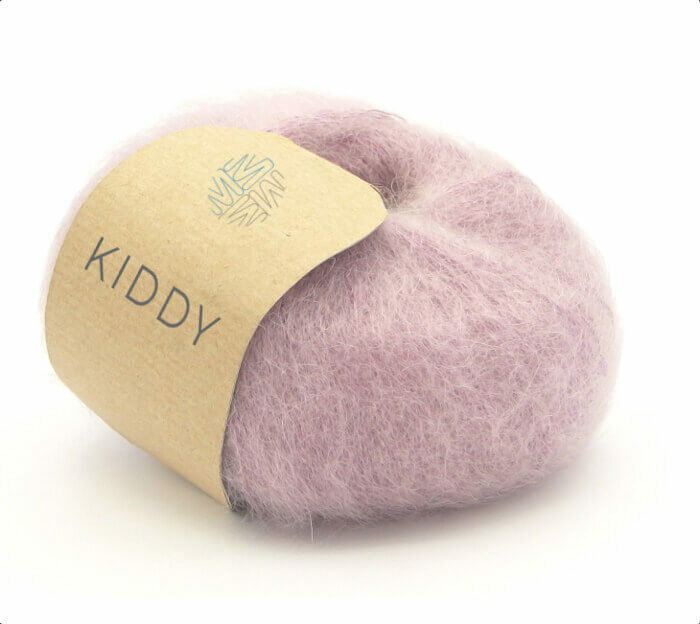 The Kiddy yarn is made by combining the precious South African Kid Mohair fiber with the very thin Nylon threads. the yarn obtained enhances the typical shine of Mohair, maintaining a vaporous appearance thanks to the special brushed. Nylon threads ensure strength and stability. This yarn is perfect for making scarves, shawls and other small items. To obtain soft and light garments we must use very large needles. Currently available in 48 colour variants, packaged on balls of 25 g.